Every time you call a company to place an order, book a trip, ask a question about your insurance or credit card, get tech support or interact with a company in any way, you’re connected to a Customer Service Rep for that company. Many people don’t know that the person you’re connecting with (assuming that person is in the US) may very well be sitting in his or her own quiet home office. The days of traditional call centers, where hundreds of people are taking calls in the same giant room and generating more background noise than a freight train, are going the way of dial phones. 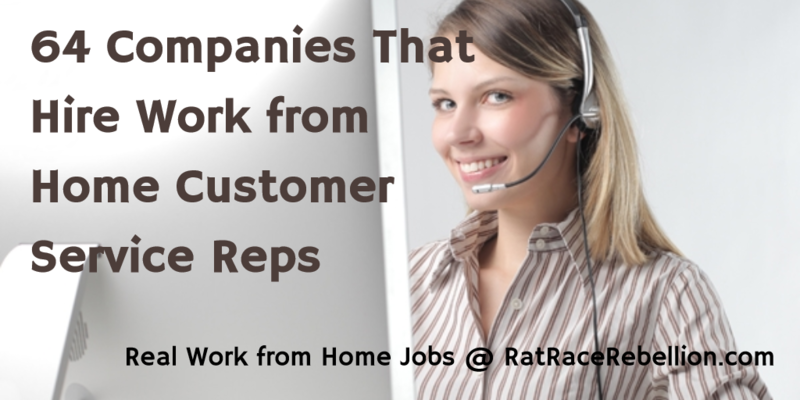 On our site, we list 64 companies that regularly hire home-based Customer Service reps. Some are seeking employees, others are looking for independent contractors, and ALL are LEGITIMATE! Visit this page to see the full chart of these companies, and come back often for additions and updates to the page. This entry was posted in Customer Service Jobs, Hiring Companies, Home-Based Businesses, Independent Contractors, Work from Anywhere. Bookmark the permalink.